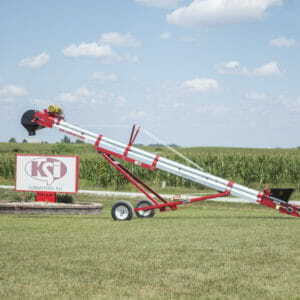 Rubber drop-down seed ladder to gently drop seed. 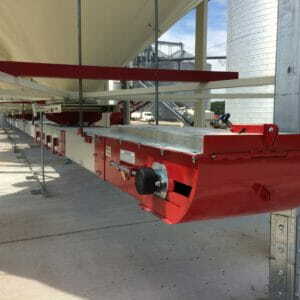 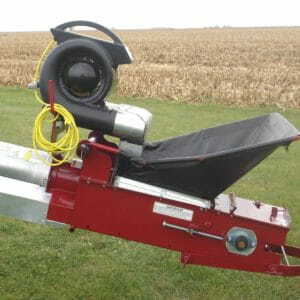 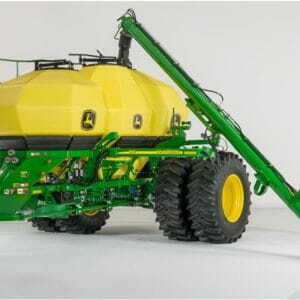 The drop-down seed ladder attaches to the outlet end of a seed conveyor. 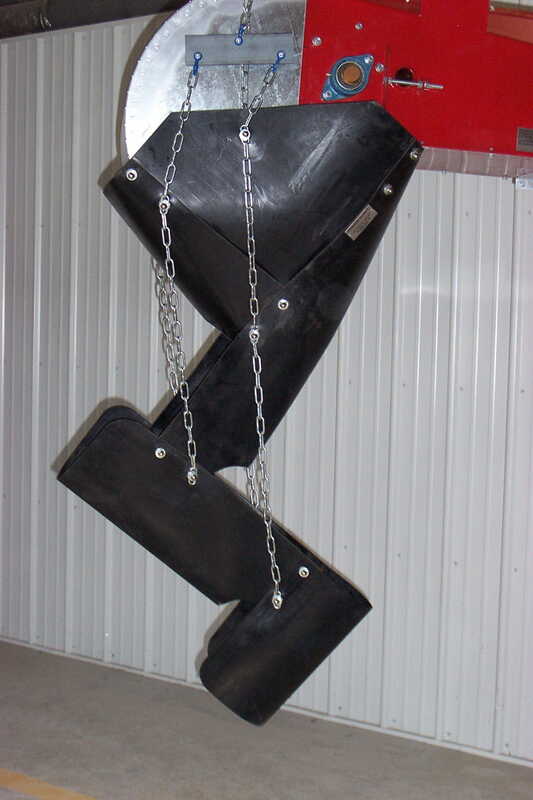 The seed ladder prevents the seed from being damaged due to a fast fall.